The story of Professor Avni Sali and Integrative Medicine. In a medical system burdened by illness, one man has spent his lifetime demanding change. This is the story of Professor Avni Sali, pioneer of lifestyle-based approaches to health and wellbeing, and founder of the National Institute of Integrative Medicine. It reveals the challenges he has encountered and the achievements in his quest for a new future for medicine – integrative medicine as the key to optimal health. 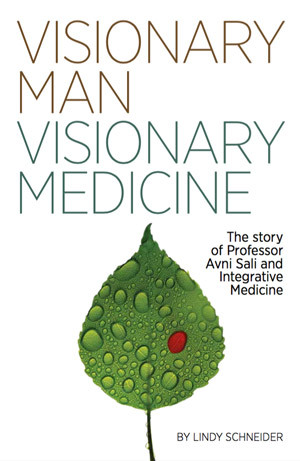 Each copy of ‘VISIONARY MAN VISIONARY MEDICINE – The story of Professor Avni Sali and Integrative Medicine’ is $20, You can order your copy by completing the form below.